Split chicken into portions: wings, legs, drumsticks and breasts. Put them into a bowl and add spices and sliced lime. Set aside for one hour to pickle. Afterward roast chicken on each side, then put into a pot and simmer covered for circa 20 minutes. 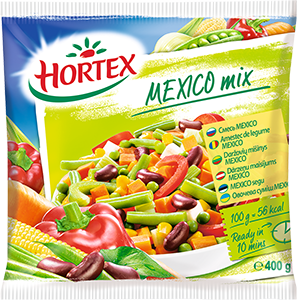 Add 2 packages of Mexican mix and simmer till the vegetables get soft. Season with salt and pepper. Serve with rice.